Cat in a boxWhat makes you think it's not MY box? 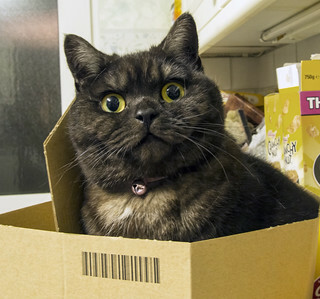 Nothing like a cat in a box :) This happened as soon as the small box was put on the counter.!!! !